The North American Pronghorn Antelope is the focus of the fifth 1 oz bullion coin to be issued in the Royal Canadian Mint's Wildlife Series. 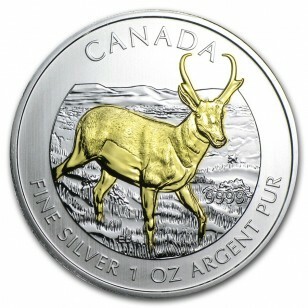 Each coin contains 1 oz of .9999 fine Silver and carries a face value of $5 (CAD). The reverse design by Emily S. Damstra depicts a pronghorn walking across a grassy vista. 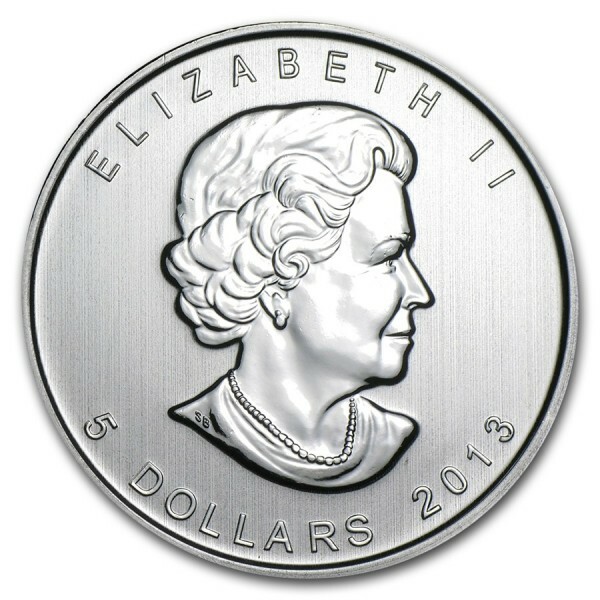 The reverse features the profile of Queen Elizabeth II by Canadian born Susanna Blunt, and the year of issue, 2013. Each Wildlife Series coin is limited to a mintage of 1 million coins, which adds to their appeal and collectibility.